This week's Crystal Kite Winner Spotlight is on SOPHIE'S SQUASH, written by Pat Zietlow Miller. 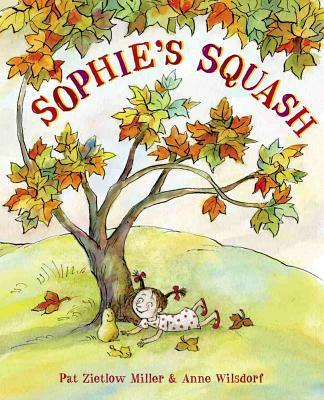 It may sound familiar, because SOPHIE'S SQUASH also won the 2014 Golden Kite award for best picture book text. Well, Pat just keeps on winning, because her book also took home the Crystal Kite award for the Minnesota, Iowa, Nebraska, Wisconsin, Illinois, Michigan, Indiana and Ohio division. Lee: For those who don't yet know, please tell us about your book! Pat: SOPHIE’S SQUASH is a fiction picture book loosely based on the time my youngest daughter fell in love with a butternut squash when she was small. It’s my debut book, and I sold it through the slush pile to Schwartz & Wade. Lee: Oooh! A slush pile success story! How long have you been involved with SCBWI, and can you share what you feel you've gained by being a member? Pat: I’ve been an SCBWI member for seven years. Wisconsin is my home base, but I’ve attended state conferences in Iowa and Illinois, as well. Joining SCBWI kick-started my writing career. The conferences I attended inspired me and helped me learn how to polish my writing, make the most of my manuscripts and submit them properly. I also met my agent, Ammi-Joan Paquette, at an Iowa SCBWI conference. In addition, I’ve made a lot of writing friends through the SCBWI who have been critique partners and partners in crime as we all pursue our writing goals. If I were to give one piece of advice to aspiring children’s book authors or illustrators, it would be to join the SCBWI. The returns hugely outweigh the investment. Lee: You also won the Golden Kite Award for Sophie's Squash. What impact has that had for you? Pat: Winning the Golden Kite was a mountaintop moment for me. I didn’t expect it, and I didn’t realize the impact it would have on me until I was at the national SCBWI conference in Los Angeles this summer to accept the award. Everyone was so friendly and complimentary, and I got to meet several of my writing heroes and even speak to the 1,200 or so conference attendees in the main ballroom. Pat: It was sort of funny, because in my everyday Midwestern life, I usually blend into the crowd. There’s nothing about me that particularly stands out. But at the SCBWI conference, many people knew who I was and had read my book and seemed excited to meet me. That was a new experience. It made me realize how far I’ve come from the person who really, really wanted to write picture books but wasn’t sure where or how to start. It also made me realize how much there still is to learn and do and how much fun it’s going to be learning and doing all those things. Lee: Do you have any additional words of wisdom to share with other children's book writers and illustrators? Pat: Work hard to learn the craft of writing or illustrating. Study the folks who do it best and absorb what they do into your own personal style. Keep working, even if what you’re producing doesn’t yet measure up to what you want it to be. Be patient with yourself and the process. Don’t rush something out before it’s really ready. Trying shortcuts probably won’t get you where you want to be any faster. Oh, and join the SCBWI. That the author in question is as humble, approachable and down-to-Earth as our own Pat Zietlow Miller only restores faith in the cherished and oft-challenged belief that the world is a fair place. Congratulations, Pat. It couldn’t have happened to a nicer book. Thanks to Pat and Michael, and Cheers to Pat for SOPHIE'S SQUASH winning the 2014 Crystal Kite Award! You can find out more about Pat and her writing at her website here. And learn more about SCBWI Wisconsin and their events here. 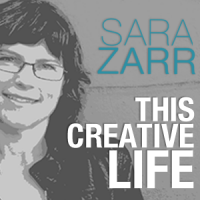 National Book Award Finalist Sara Zarr's podcast series has over 35 episodes - I haven't listened to all of them, but I'm enjoying each one I've heard. There's lots of good stuff. So thanks Sara, and for the rest of us, let's listen, learn and enjoy! p.s. - Thanks to Joëlle Anthony for listing This Creative Life among her favorite podcasts in her "Get Inspired With Podcasts" article in the July/August 2014 SCBWI Bulletin! This week's spotlight is on the 2014 Crystal Kite Award-winning THE KITE THAT BRIDGED TWO NATIONS: Homan Walsh and the First Niagara Suspension Bridge by Alexis O'Neill! 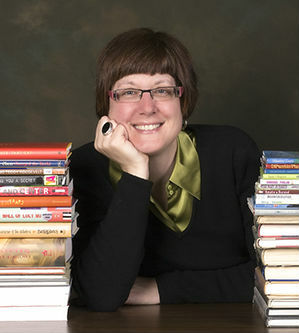 Alexis is a Regional Advisor Emeritus for SCBWI California: Central/Coastal, and won for the California/Hawaii Division. Alexis: My KITE book is what I call a “biographical slice.” This true story is about an action taken by a boy that had a tremendous impact on transportation and commerce in America. In January of 1848, Homan Walsh flew his homemade kite over the Niagara River between American and Canada against tremendous odds. When he finally landed his kite, the string became the first line for the first suspension bridge over the Niagara River. The bridge ended up carrying not only foot traffic and carriages, but a railroad line as well. I loved the drama of the story, and the idea that persistence and skill carry the day. Lee: I love how you're able to articulate those themes, and it sounds like a great story! How long have you been involved with SCBWI, and can you share what you feel you've gained by being a member? Alexis: In the early 1980s, I took a class led by children’s author Helen Buckley at University College in Syracuse, New York. The class began as a diversion from working on my doctoral dissertation, but it led me to the best career in the world as a children’s writer. Helen encouraged me to join SCBW (no “I” then), and I did. My move from New York to California was made easier knowing that SCBWI provided a ready-made network of friends. With the wealth of opportunities to learn about the business and grow as a writer, my self-prescribed “graduate degree” in children’s books began with SCBWI and continues to this day. Alexis: Focus on story. Make every word count. Don’t be impatient. Too many new authors and illustrators focus on How do I find an agent? How do I pitch to an editor? instead of asking, What do I need to learn and do to tell this story best? 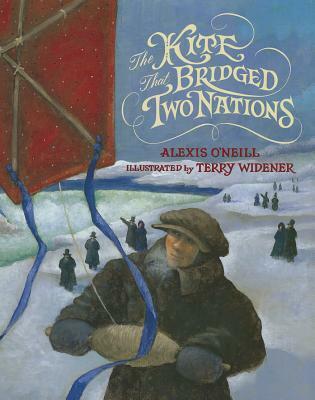 After 18 plus years of service to Central-Coastal California as the regional advisor, we couldn't be more pleased that Alexis O'Neill's book, THE KITE THAT BRIDGED TWO NATIONS, has been honored with the Crystal Kite Award. Here we recognize that Alexis's thoroughness, attention to detail, and respect for quality writing for children is only a reflection of how she approaches all tasks, whether they be an event bringing PAL members and educators together or a Writers' Day featuring top professionals in the field. How wonderful that this recognition now extends beyond our four-county region and to this inspirational story. SCBWI Central-Coastal California, a warm and welcoming region rich in talent. is comprised of Ventura, Santa Barbara, San Luis Obispo, and Kern counties. Numerous volunteers and an advisory board work together to offer our members a wide range of events including a Writers' Day, Writers' Retreat, numerous craft-focused workshops, and illustrator events. Most recently we have added sketchcrawls and even a traveling sketchbook to the mix, giving our diverse membership not only multiple opportunities to learn from professionals and peers alike, but also a strong sense of community. Thanks to both Alexis and Mary Ann, and cheers to Alexis for THE KITE THAT BRIDGED TWO NATIONS winning the 2014 Crystal Kite Award! You can learn more about Alexis, her books and her school visits (she writes the regular column on school visits for the SCBWI Bulletin) at Alexis' website here. And to find out more about SCBWI California: Central/Coastal, check out their regional site here. Great advice - Thanks, Marla! I'd suggest you check out the other eight videos as well. You can find the series online here at reading rockets. This week's spotlight is on the 2014 Crystal Kite Award-winning ARMY CAMELS: TEXAS SHIPS OF THE DESERT by Doris Fisher! Doris is from SCBWI Texas: Houston, and ARMY CAMELS won for the Texas and Oklahoma Division. Doris: Army Camels, Texas Ships of the Desert tells the amazing true Wild West tale of camels sailing to Texas to open up the west. They arrived right before the Civil War and were really wanted by then Senator Jefferson Davis! They sailed three months before walking down a gangplank when they landed in Indianola, Tx, now a ghost town! Lee: What a cool piece of history! How long have you been involved with SCBWI, and can you share what you feel you've gained by being a member? Doris: I have been a member since I started writing 15 years ago. I kept a list of conferences and workshops by SCBWI I've attended. So far I've gone to 45 venues to learn the craft of writing and of picture books. Doris: Keep writing and believing in your book manuscript. Go to critiques, conferences, dinners, and don't be shy about asking questions. My first book was rejected 25 times before finding it's permanent home! And I have all the rejection letters from the early 2000's. SCBWI folks are super nice! And remember, everyone was a beginner, once upon a time! We were thrilled when Doris won this year. She is in a critique group with Lynne Kelly who won the Crystal Kite last year for her book CHAINED. What a great example of why all writers need to be in a good critique group. Doris has been a long-time volunteer with our chapter. For ten years she was our "Door Prize Queen" for our conferences. She was great at securing all kinds of wonderful books for us to give away as door prizes at our events. Doris strongly believes in attending conferences and workshops where she keeps honing her craft and also networks like a pro. It's been through some of these networking opportunities that she has had publishing deals. Doris is generous with her time, knowledge and experience. We're lucky to have her in our chapter and are thrilled that she won the Crystal Kite this year, she certainly deserved it. There are over 300 members in the Houston chapter. We have monthly meetings with a speaker; topics include writing all types of genres, illustration, how to market a book, social media, etc. We're lucky to have a lot of wonderful volunteers who help organize our events such as our annual conference which has 200 attendees. We also host smaller workshops and webinars that focus on a particular genre, market or skill. Our members range from those who are just starting their writing/illustrating careers to those who are multi-published. Those with years of experience are generous with sharing their knowledge by speaking at our meetings, workshops and through critique groups. We're fortunate to have a vibrant group of talented folks that make up our fabulous chapter. Thanks to both Doris and Vicky, and cheers to Vicky for ARMY CAMELS: TEXAS SHIPS OF THE DESERT winning the 2014 Crystal Kite Award! You can learn more at Doris' website here. And to find out more about SCBWI Texas: Houson, check out their regional site here. The liminal space of art on that Venn diagram. "We know these characters aren't real but we have real feelings about them." "It's this little bit of fiction that's colonized the real world." Thanks to agent Danielle Smith for the heads-up on this! This week's spotlight is on THE FLAME IN THE MIST by Kit Grindstaff, winner of SCBWI's 2014 Crystal Kite Award. Kit is a member of SCBWI Eastern Pennsylvania, and Kit's book won for the Pennyslvania, Delaware, New Jersey, Washington D.C., Virginia, West Virginia and Maryland Division. Lee: Congratulations on winning the 2014 Crystal Kite Award for THE FLAME IN THE MIST! Kit: Thanks so much, Lee! It’s a total thrill to have won. I’m still pinching myself. Kit: Sure! 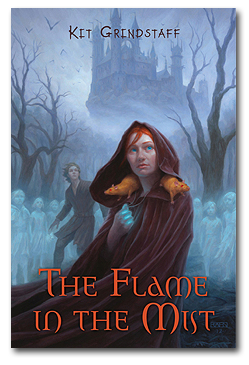 The Flame in the Mist is a spooky, magical middle grade fantasy set in a parallel version of medieval England. It features fiery-haired, 13-year-old Jemma, raised in gloomy, mist-shrouded Agromond Castle, who finds out that she was abducted as a baby and that her entire life has been a lie. Along with her trusted friend, Digby, and two telepathic golden rats, Noodle and Pie, Jemma has to fight the evil family who stole her in order to fulfill a prophecy saying she is the one who will end centuries of their reign – as well as the Mist they create. The book has a strong supernatural and mystical element, with a cast of characters including ghosts, monsters, and otherworldly beings. As well as coming-of-age issues relevant to tweens and teens, it also contains broader themes that are important to me, the main ones being learning to trust oneself, letting go of prejudice, and transformation and healing. The Mist symbolizes ignorance, illusion, and the dark forces in life (inner or outer); and the sun represents the power within each of us to overcome those forces. The driving force of the evil faction is revenge, so acceptance and forgiveness are big factors too. Lee: Sounds very cool - and I love how you're able to articulate the themes and even what The Mist represents! How long have you been involved with SCBWI, and can you share what you feel you've gained by being a member? Kit: I became a member of the SCBWI in 2008. I’d heard about it for a while, but until I joined I couldn’t have conceived of all that its fabulous workshops and conferences have to offer. 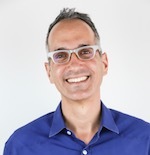 I met astute critique partners, and absorbed a ton about how the business works – things I couldn’t possibly have learned just from web research. And where else do aspiring kidlit authors have the opportunity to have critique sessions with a wide selection of agents and editors, with the possibility of submitting to them afterwards? That’s what led to my contract with Delacorte: I met my editor at the NJ SCBWI conference. Based on my first 15 pages, she invited me to submit the whole manuscript. From that came months of revision with a view to that magic word, “acquisition”. And acquire she did! Kit: Number one: persistence. After every agent rejection, I kept polishing the first chapters, tightening, figuring there was something they weren’t getting. I’d moved on to another manuscript and pretty much put Flame on the back burner – though not abandoned. So when I saw the opportunity for crit sessions at the NJ SCBWI conference, I pulled it off, tightened again…et voila! Other than that: Write (or draw) what you love, and love what – and whom – you write; you’ll need that love to keep you going through tougher times. Don’t chase trends. Keep reading. Keep tightening, honing your craft. Remember you can’t make an omelet without breaking eggs – which in literary terms means, killing some darlings. (Yes, ouch.) Don’t compare yourself to others: their journey is theirs; you, and yours, are unique. Get there your way. And while it’s essential to listen to advice and be open to trying suggested changes, always listen to your heart. It’s your ultimate compass. Lee: Wise words! Thanks, Kit! Kit and I met at the Eastern PA SCBWI Pocono Retreat in May 2013. We were in the whole novel workshop with Kathryn Erskine and let me tell you, the moment I heard Kit share her story–I was hooked! I couldn’t wait to read her Crystal Kite winning The Flame in the Mist. I encourage everyone to read it—you will not be disappointed. 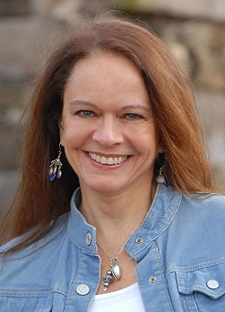 Kit Grindstaff attributes much of her writing success to SCBWI. While here in Eastern PA, we can’t take credit for her raw talent and storytelling gift, but we do consider Kit a beloved member of the Eastern PA SCBWI chapter and one of our many success stories. Even after her publishing success with The Flame in the Mist, Kit continues to attend local conferences and workshops. She recognizes the importance of craft development, industry insight, and networking that can only be achieved by attending SCBWI events. 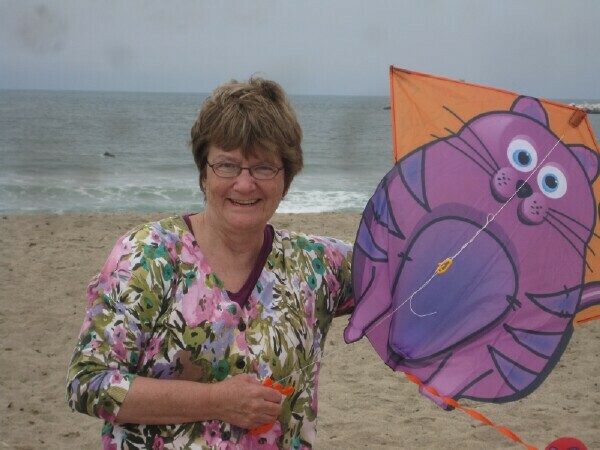 On November 8th, Kit will be presented with her Crystal Kite award at our Fall Philly conference. (There are still spots available: http://epa.scbwi.org) We can’t wait to give Kit her award and HAPPY DANCE for her and with her, because here in Eastern PA we celebrate the success of ALL our writers and illustrators, one happy dance at a time. Thanks to Kit and Kim, and cheers to (and a happy dance for) Kit on THE FLAME IN THE MIST winning the 2014 Crystal Kite Award! You can find out more at Kit's website here. And for more info on SCBWI Eastern Pennsylvania, check out their regional site. When novelist Porochista Khakpour tweeted, back in June, "Can someone please create some prizes and lists for SECOND novels?! Trust me when I say we sophomores need more help than the freshman." it turned out people were listening. Specifically, Slate and the Whiting Foundation are joining forces to battle second novel syndrome with the We Second That, the Slate/Whiting Second Novel List. 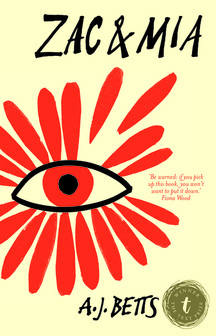 "a list of the very best under-recognized second novels of the past five years—ones that might not have found the readers they still deserve now." 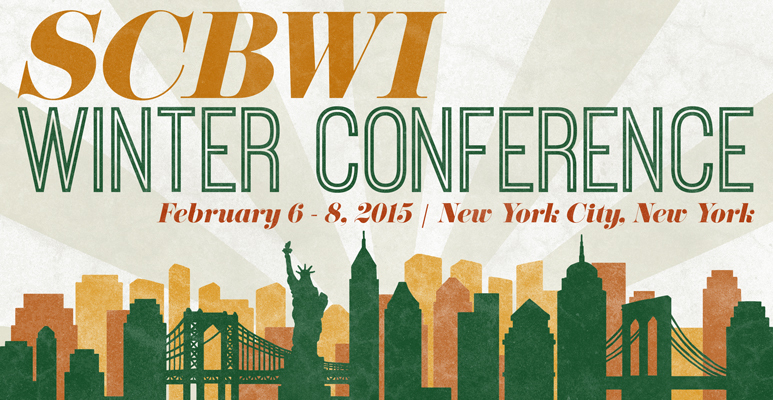 SCBWI's spectacular 16th Annual winter conference, held February 6-8, 2015 in New York has an amazing line up of keynote speakers, panels, breakout sessions and intensive workshops. And here's the conference schedule. Note: The Conference promises to sell out as it has in the past several years. So set your calendars and cell phone alarms to register online at http://www.scbwi.org/ Tuesday October 7 at 10am pacific time! The next spotlight on the 2014 SCBWI Crystal Kite winners illuminates ZAC AND MIA by AJ Betts. A member of SCBWI Western Australia, AJ's book won for the Australia/New Zealand Division. AJ: Zac & Mia is my third novel, but the first to be inspired by real life. For the past ten years I've been working as a high school English Teacher in a children's hospital in Perth (Australia), with the past six years dedicated to the oncology ward. The story came together from three things: my interest in how isolation affects a person (especially those in isolation following a bone marrow transplant); my humble admiration for the amazing teenagers who confront their illness (and mortality) with maturity, humour and courage; and the request (by teenaged students) to write a love story. The novel took over four years to write, with huge pauses in between. I wanted to give up many times, but I realised I had to persevere: for my students who now see the world differently, and the students who never got the chance to. The story and characters are fictional, but they are inspired by the incredible teenagers I've had the privilege to know. I continue working at the hospital part time. AJ: I've been a SCBWI member since the start of 2009 (when I started writing Zac & Mia). I'd already had one novel published, and another was in the editing stages. I'm so glad I joined! What a comfort it is to meet like-minded people. The SCBWI community in Western Australia is vibrant and supportive. There are so many talented authors and illustrators, and we often meet to collaborate, workshop, or discuss the industry and each other's successes. I've been fortunate to make friends with some incredibly gifted and generous creators. It makes my solitary lifestyle feel less isolated. AJ: My advice is to link up with other creators. For some, you might want the chance to workshop, but for others (like me), having the emotional and professional support is enough. It's nice to know there are others backing you. Be involved in the wider community - sign up to your regional writing association's newsletters, participate in seminars, and attend launches. Of course, don't forget to hone your craft, through consuming (keep reading! read ten times as much as you write! ), experimentation and practice. Never submit work that's not your best. If you're not sure what your best is, it's not ready yet. Being a creator for children is such a privilege, but it's hard work. We have to earn that privilege. We have to take our work seriously because it matters. I regularly receive emails from readers who thank me for Zac & Mia, and it's a powerful reminder of the importance of stories in young people's lives. Our chapter began one sunny day in 2002 when a handful of children/book creators gathered for a picnic on the grass at a local arts centre. Today, we have nearly 150 members across Western Australia and the Northern Territory. Our membership is diverse and far-flung, reflecting the geographical area our region covers, which takes in some 4 million km2. We have members in the Northern Territory's "Top End", the goldfields of Kalgoorlie, and the rugged southwest of WA. Some members drive over 400km to attend meetings. We hold regular gatherings, including our famous annual Rottnest Island Retreat, and our activities offer a balance of the social and the professional, ranging from informal exchanges and networking to formal professional development opportunities with publishers and editors flown in from the eastern states. We're a lively, supportive bunch who enjoys nothing more than seeing members grow and develop their creative and professional practice. At that first gathering back in 2002, the discussion topic was Transmitting from the New Frontier (besides sending your manuscript on a Voyager Spacecraft). Nearly fifteen years later, the rise of our talented authors and illustrators suggests that we have well and truly learned how to transmit from this western frontier. Our region has now won three Crystal Kite Awards since inception! A.J. 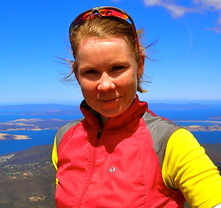 (Amanda) Betts is one of our fabulous success stories. Her Crystal Kite award-winning book, Zac and Mia, has presently sold into nine countries and is taking the world by storm. Amanda is a selfless dedicated SCBWI Australia West member with a vibrant personality who we all absolutely adore. We’re so proud of her success! Thanks AJ and Frané, and cheers to AJ on ZAC AND MIA winning the 2014 Crystal Kite Award! To learn more about AJ and her books, check out her website here. And to find out more about SCBWI Australia West, visit their homepage here.